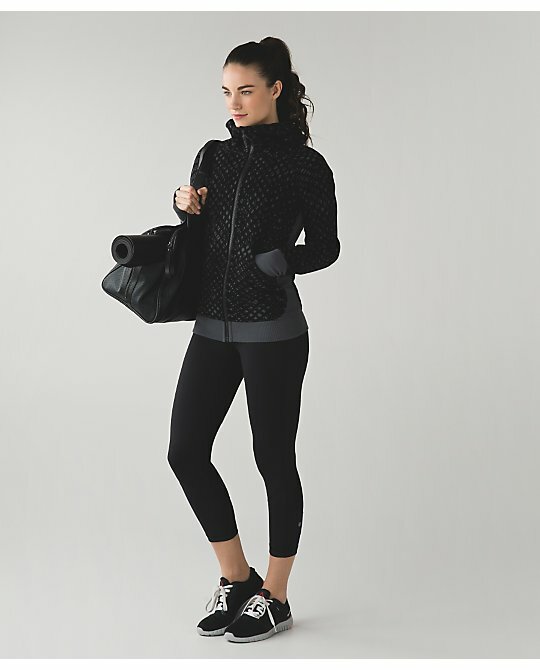 Just saw this on NRF Smart Brief: Lululemon Athletica Inc shares rise as analyst predicts rebound in profit margins. Here's the link to the article. I am kind of digging that daily practice jacket. Also, what is with the new Zone in crop? I thought they couldn't get rid of those fast enough with the $39 on WMTM. I wonder if they fixed the issues that people were complaining about. Personally they worked for me, but I know a lot of ladies hated the fit on those. More zone in crops? SERIOUSLY? There is a reason they went to $39 on markdown... and now the scammers are trying to make a quick buck on re-sale sites (Poshmark, Mercari, etc.) getting the better of women who don't know any better...they just see "cheap" LLL crops and swoon. Ugh. Am really hoping for the blooming pixie multi HTP ...but I've learned not to get my hopes up. Sigh. I am curious whether there has been a lot of turnover in their design department? All of the designs seem very different than before, and less sophisticated and thoughtful to be honest. So wondering if it's the same designers going in a different direction or if there a new crew that is perhaps less seasoned.